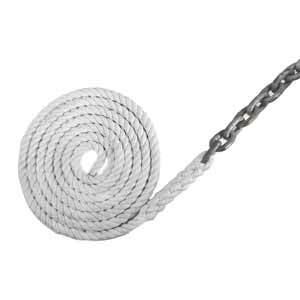 Category: Dock & Anchor Lines. Tags: Anchor Lines, doublebraid, nylon. 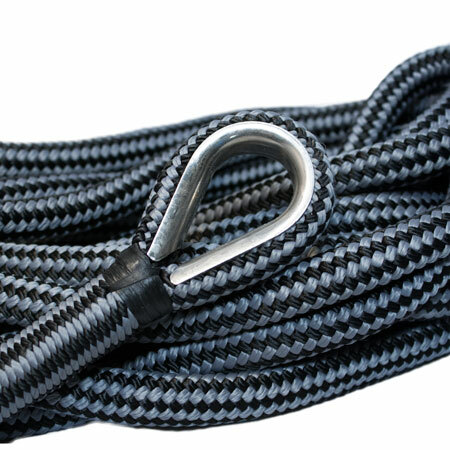 Our nylon double braid anchor lines are individually hand spliced with either a stainless or galvanized thimble eye and available in 16 different solid colors or customize your anchor lines with endless color combinations to match the interior decor or hull of your vessel. 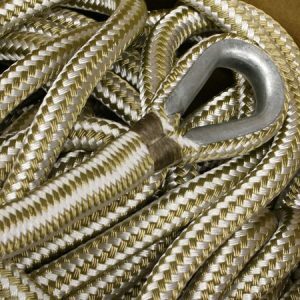 We stock nylon double braid anchor lines in standard diameters and lengths, we offer lines up to 3-5/8” diameter with hand spliced eyes with either a galvanized or stainless steel thimble. 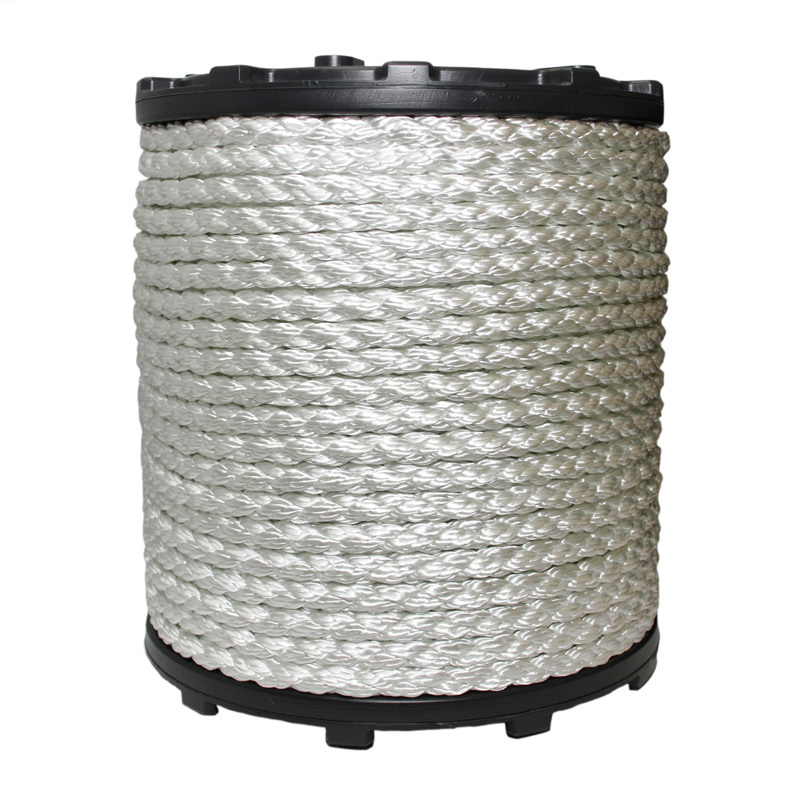 Nylon rope has three characteristics that make it ideal for dockline. 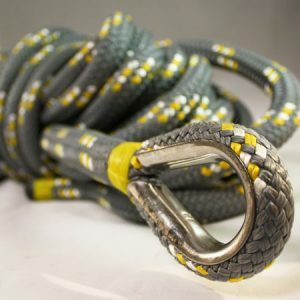 Nylon rope is incredibly strong, it is very stretchy, and it resists the harmful effects of sunlight better than any of those fancy-name synthetics. Nylon ropes value of strength is self-evident, but the benefits of elasticity may not be as obvious. 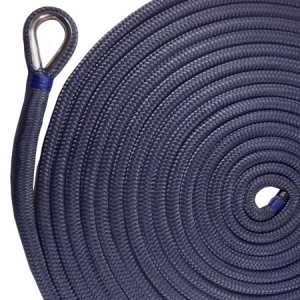 When your boat surges against an unyielding dockline, the load on the line goes from zero to the maximum at the instant the nylon line comes taut. 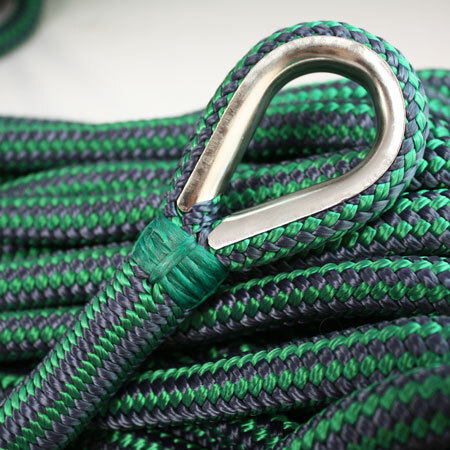 The likely consequence is a broken line-not unlike how you might snap a piece of thread with a jerk. Even if the nylon rope is strong enough not to break, it is hammering cleats and bitts with every surge. 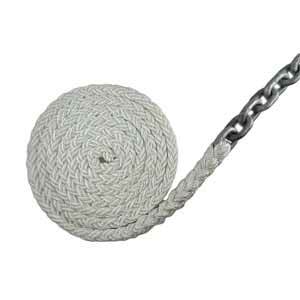 Nylon rope doesn’t come taut suddenly, but dissipates the load by stretching. It is like the difference between hitting the steering wheel or hitting the air bag. 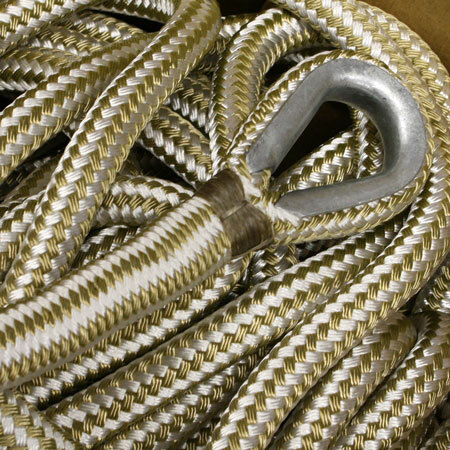 As for nylon rope’s resistance to ultraviolet damage, docklines, particularly permanent docklines, live in the sun. 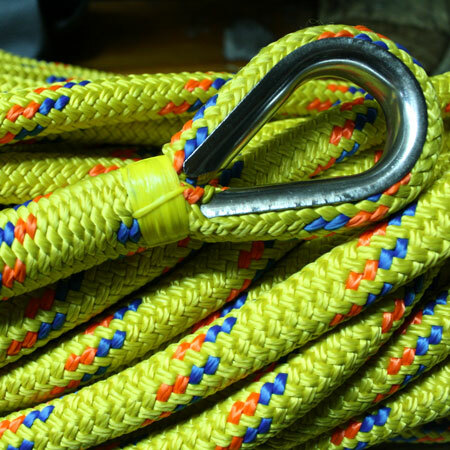 Nylon lines enjoy a much longer life than other lines in that environment.